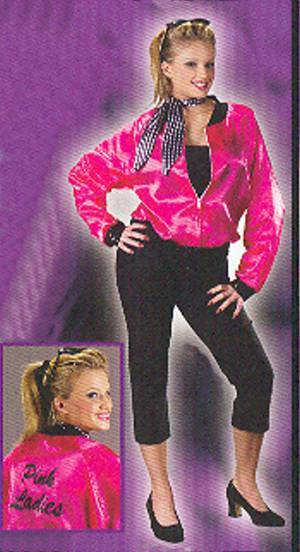 Includes satin jacket, scarf, jumpsuit with clam digger pants. 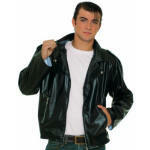 Includes satin jacket with zipper. 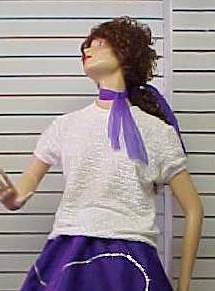 Includes top with sequin trim, poodle skirt, and scarf. 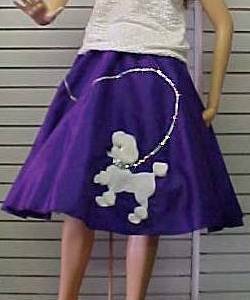 Includes flannel skirt with poodle patch and sequin trim. 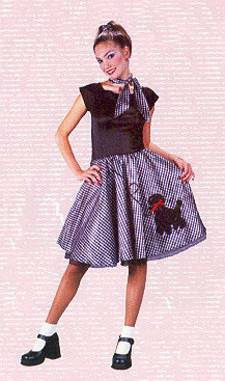 Includes lycra stripe and felt poodle dress with sequin appliqué, vinyl belt and scarf. 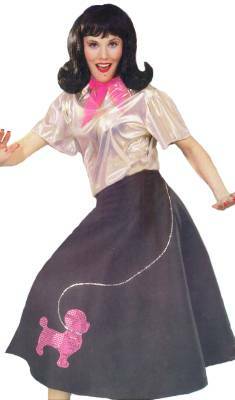 Includes skirt with black elastic waist band and vinyl belt. Top not included. 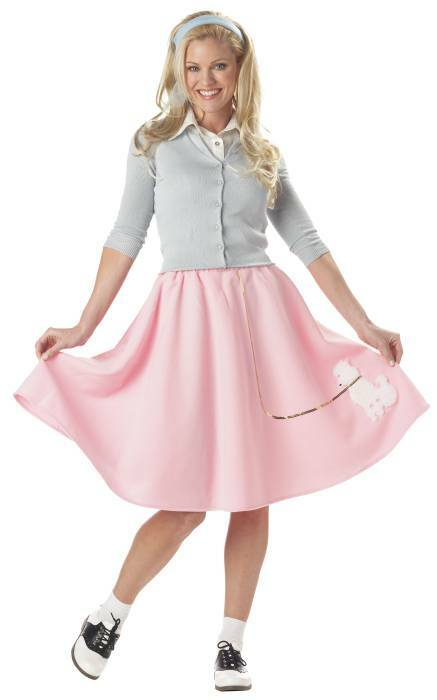 Full circle skirt with poodle. 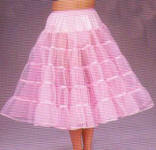 With full ruffled underskirt attached. 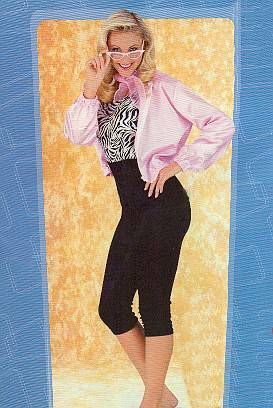 Poodle shirt sold separately. For use under poodle skirts. Multiple tiers of nylon net with matching satin binding on each tier. Underskirt made of nylon organza. 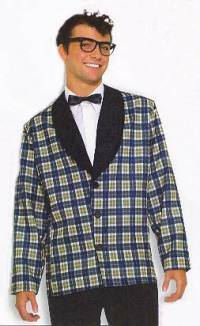 Includes bow tie, shirt front, jacket, cummerbund, pants. 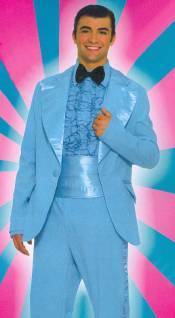 Includes one piece suit with attached bow tie and belt. Eyewear extra. 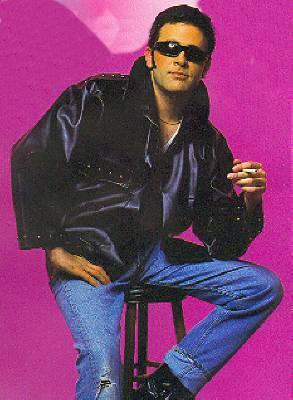 Jeans not included. Includes jacket, pants and neck scarf. Includes skirt with attached top, and belt. 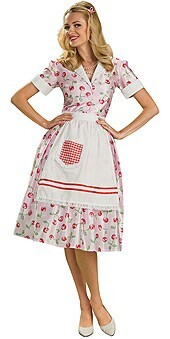 Includes dress, belt and crinoline. Includes dickie with tie, sweater, and pipe. 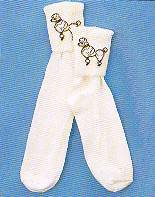 Includes jumpsuit with jewel trim and belt. 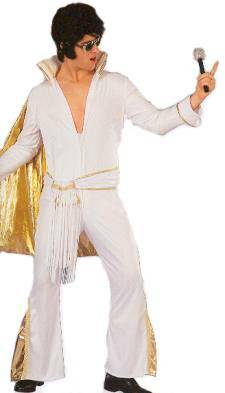 Includes jumpsuit with jeweled eagle, belt and cape. 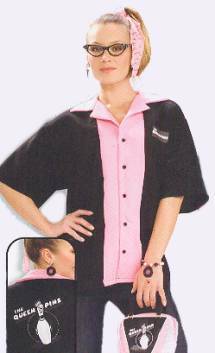 Includes jumpsuit with attached cape and belt. 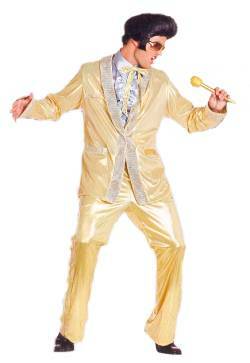 Includes gold lamé suit - Button-up jacket with spotted gold trim, silver satin button-up shirt with front ruffles, rhinestone accent bow tie & pants. 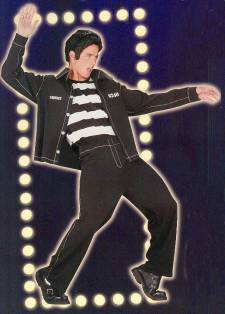 Includes jacket, pants, and shirt. Black wig. 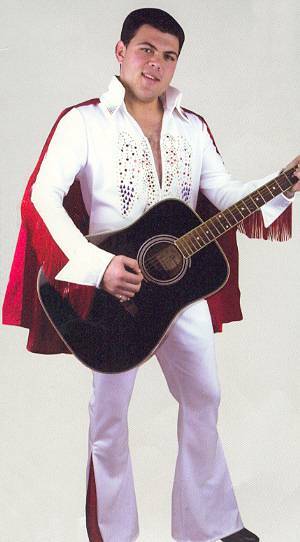 Perfect accessory for Elvis costumes.